HPV: Lower. Faster. Further. Speedmachine. A joyride you can take every day. 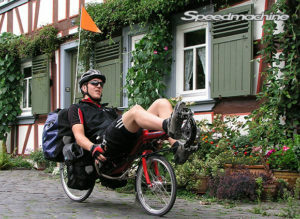 The Speedmachine is faster, more efficient and more comfortable than you would ever have thought possible. It’s an ergonomic machine dedicated to absolute speed. You have probably never ridden a bike this fast or this comfortable. In fact you probably assumed that gain meant pain. But the Speedmachine rewrites the rules. 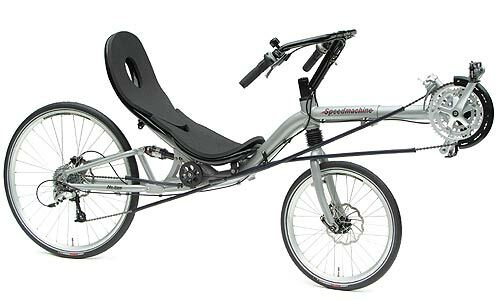 By combining a super-oversized aluminium frame, a full suspension ride and a totally ergonomic riding position with perhaps the smallest frontal area on the planet, we have created a machine to give you incredible performance along with total comfort. Remember, at racing speeds it’s not weight that slows you down, it’s the effort of pushing through the atmosphere. 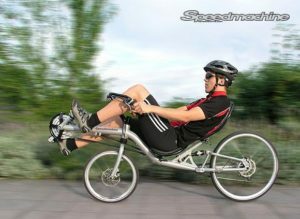 On the Speedmachine your body is an arrow, cutting through the air with ease and giving you a seriously unfair advantage. And in this riding position your entire body is supported, so that your weight is distributed over the largest possible area. No pressure points! 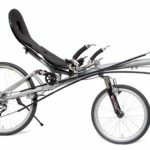 Our suspension system is fully integrated into the frame design, it’s fully tuneable for performance and works completely independently of your pedalling force. We call this “No Squat”, and it is a system that has been perfected over thousands of miles of extreme roads by our team of test riders. What it means is, if you accelerate uphill, you accelerate. And because it isolates you completely from the road, your energy goes entirely into forward motion. It works, so that you don’t have to. We haven’t neglected the accessories either. 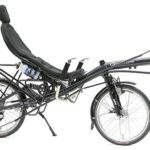 We can offer an integrated luggage rack, proper mudguards and the best lighting system you can buy. 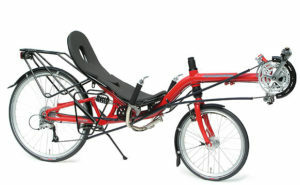 Our adjustable BodyLink seat or our ErgoMesh net seat ensure the perfect fit.